Grier School | Senior Class Fun! While it takes a great deal of hard work and dedication to get there, finally being a senior at Grier comes with some excellent rewards. Classes for Seniors end a full week ahead of their underclass sisters and they receive special privileges during their last week of classes, to boot. 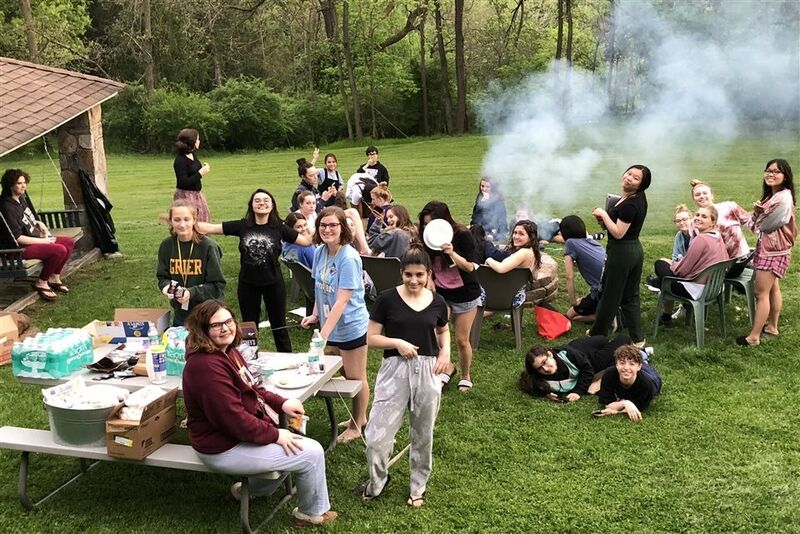 Without finals to cram for, the seniors can enjoy some fun, including a bonfire at Mrs. Borst's house and the Senior Class Trip. 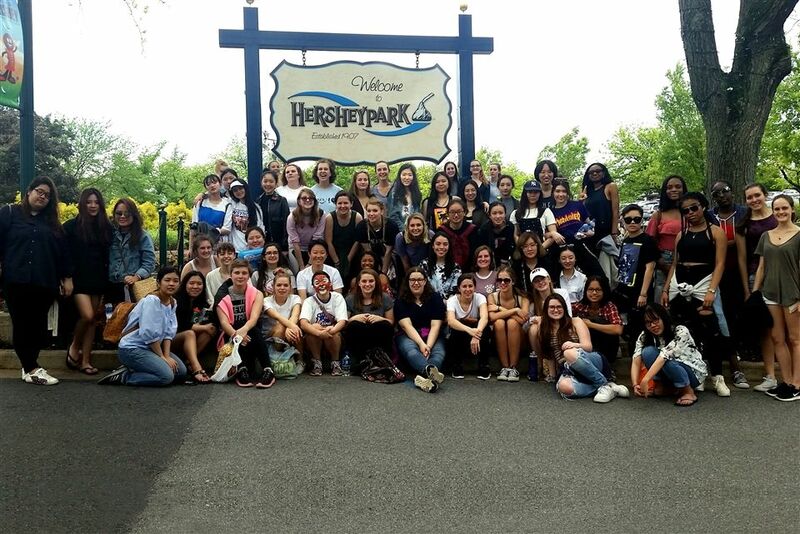 This year's Senior Class trip included a stop at the chocolate confection wonderland, Hershey Park, before heading on to Rehoboth Beach, Delaware. The group lucked out with sunny weather and a few brave souls even took a dip into the frigid springtime waters of the Atlantic Ocean. Several returned to girl sun-kissed. 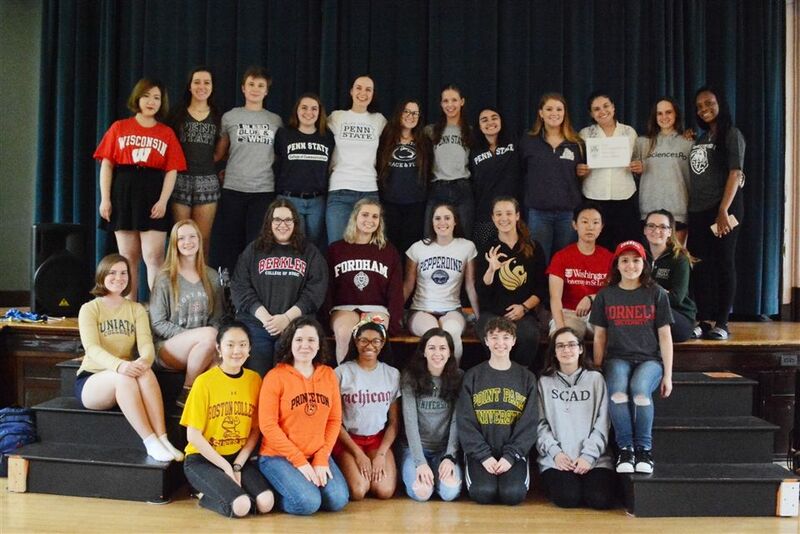 Annie G. organized a special photo op with many seniors sporting shirts that represent the college they will attend this fall. Days before graduation, the seniors pranked their teachers, as is tradition. They hid little cards throughout the school, which teachers and students will certainly find for years to come. In addition, they barricaded some of the doors with clear plastic wrap and inverted some of the posters throughout the hallway and in classrooms. All in good fun! Congratulations, Seniors, on this well-deserved reprieve after the work you've done to get here! Enjoy it! Seniors gather proudly in shirts reflecting their college choices. A senior bonfire at Mrs. Borst's house. The senior prank was these understated cards, hidden throughout the school. Teachers will be finding them for years to come! The seniors enjoying a trip to Hershey Park before continuing on to Rehoboth Beach, Delaware for their Senior Class trip.